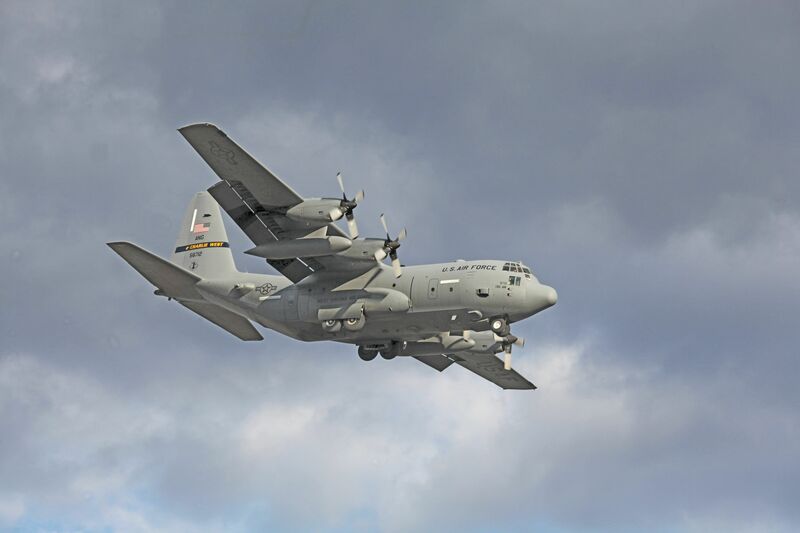 I am going to be painting and lettering a radio control C-130H model in the near future. I plan to replicate a WVANG craft. 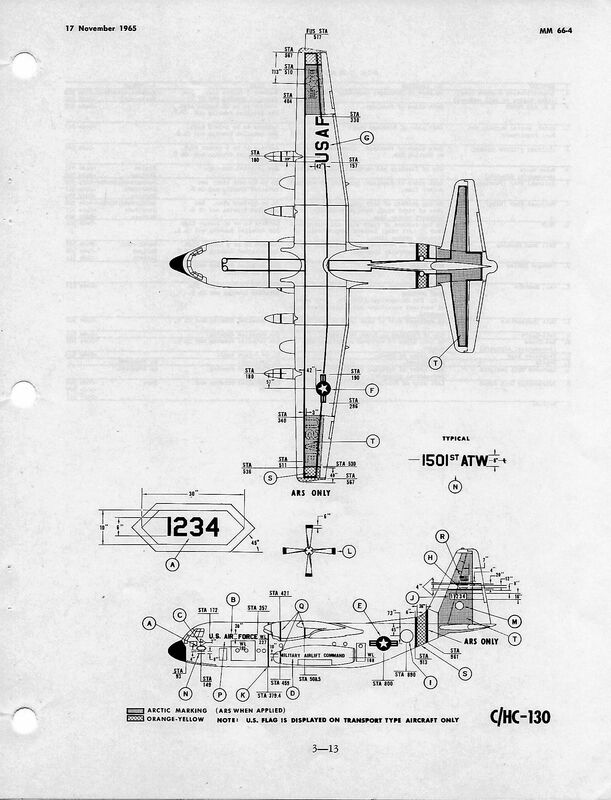 I have some photos of the plane I want to model, but I was wondering if there is a source, short of trying to contact someone at the Guard or AF, for paint and lettering diagrams that show placement and size of the various lettering and markings on the plane? 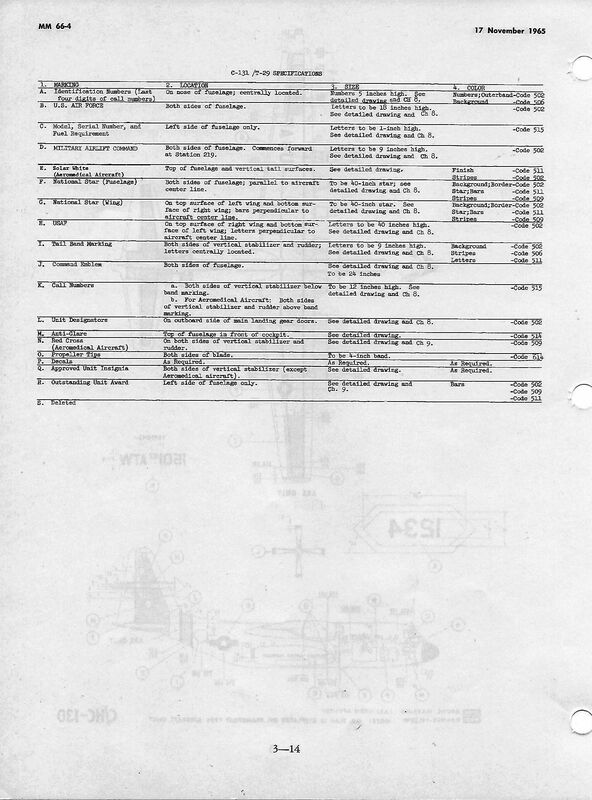 I have a very old MAC Manual 66-4 dated 17 November 1965 titled Aircraft Markings and Insignia. I don't know if it's still published or not. I scanned a couple of pages from it -- maybe they will help. Don, thanks. That is exactly what I am looking for, but a newer version for the current scheme.